Gavin’s guardian found a lump and was seriously concerned that there was something really wrong. He was vomiting and his mood was off and on. Gavin was diagnosed with a cutaneous mass left to the prepuce. It had to be removed and was given a positive prognosis! But it could not be known if the mass was cancerous or not until it could be tested once removed. We stepped in to help Gavin get his surgery a few weeks ago. The surgery went well, they were able to get it all, but the mass was tested to be cancerous. There is potential that it will return but we are all hopeful that it will not. His guardian will be keeping a watchful eye on the area. 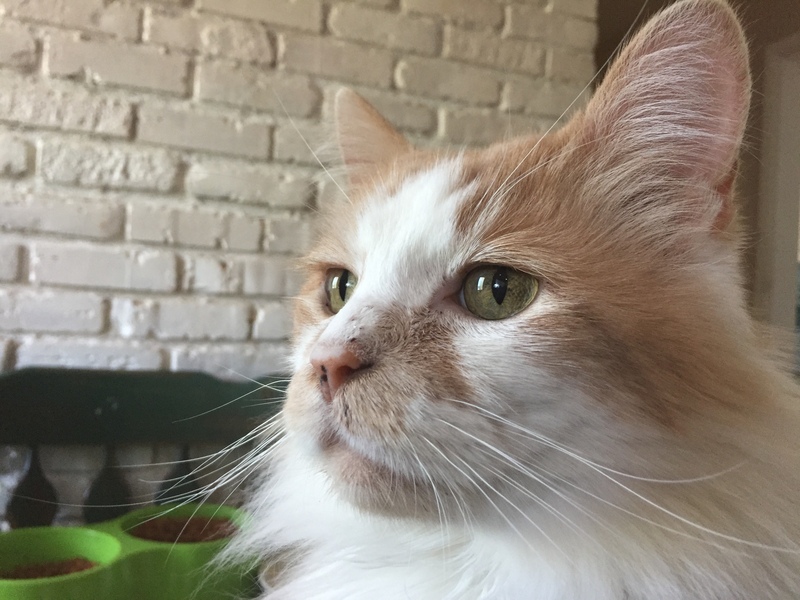 Gavin’s guardian is so very grateful to the Maggie May fund for helping his “beautiful guy” and sent us the photo of his “old man”. We all know how much our pets mean to us, especially in hard times, and being able to help Gavin and his guardian makes the heart feel really good.